You can stop singing the wrong words now. 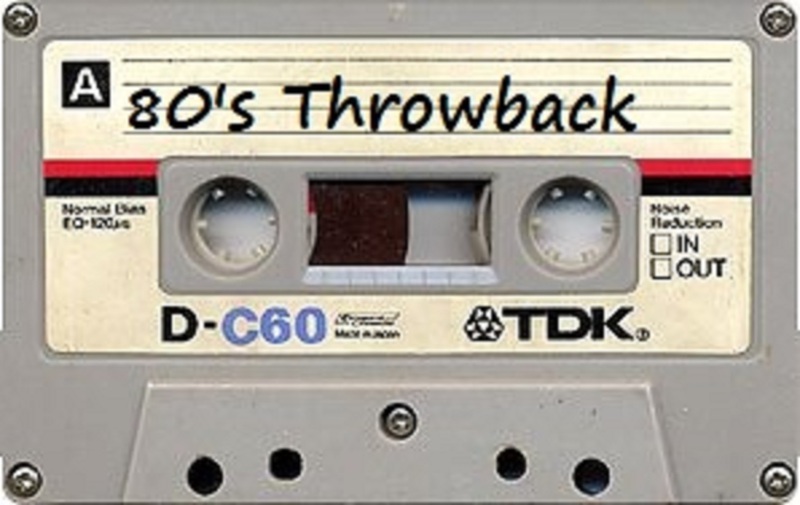 Here are some common songs we've all mixed up. 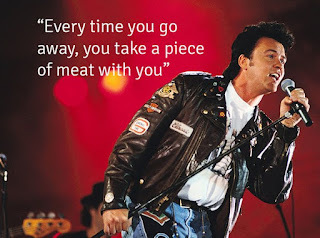 I've been incorrect for all these years crooning Paul Young's song Every Time You Go Away...it should be, "you take a piece of meat with you". Must be a song about a butcher shop or something? 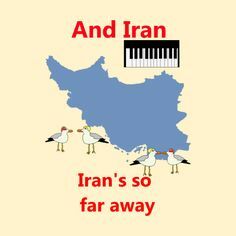 Flock of Seagulls wonder hit was actually a political piece about the middle east - IRAN, IRAN's SO FAR AWAY. Huh, who wuddah thunk it? 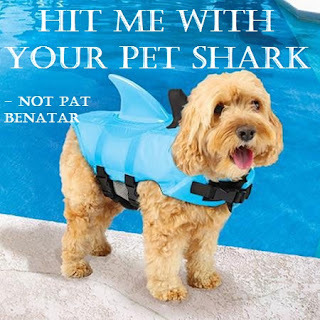 Pat Benatar must have been into animal rescue / environmentalism and that is what her song HIT ME WITH YOUR PET SHARK was all about. I think the 80s was a time when sharks were being decimated and there was a short lived movement to make them pets...I think Dr. Evil is still promoting the idea.